The dangers associated with the carriage of solid bulk cargoes are undoubtedly one of the decade’s hot issues in the shipping industry. Some of the titles that circulated over this decade convey the alarming threats that have shaken the dry cargo-shipping sector, such as: “Cargo liquefaction still a problem”, “Club move to stop liquefaction losses”, “Crew safety should come first”, “Dealing with the unusual”, “Drive to cut liquefaction losses”, “Handle with care” and “Preventing liquefaction tops concerns”, to name a few. No P&I Club has failed to warn their members about the dangers of loading unsafe solid bulk cargoes, and some have even gone so far as to put their policies’ cover on hold if such cargoes are loaded without consultation. No doubt, the aforesaid concerns are legitimate owing to the high numbers of losses reported in the last eight years alone. In January 2012 the nickel ore trade amounted to only six per cent of the bulk trade but accounted for 80 per cent of the fatalities. [i] This article considers how the shipping industry has responded to the issue of solid bulk liquefaction to date, and whether there remains room for further improvements. The IMO introduced the mandatory International Maritime Solid Bulk Cargoes (IMSBC) Code in January 2011. It provides information about the dangers associated with the shipment of solid bulk cargoes and procedures to be adopted by the relevant parties in order to facilitate the safe carriage of such goods. The Code outlines the obligations on shippers to provide all the necessary documents, including test certificates, to the master prior to shipment (section 4). It also sets out loading and carriage precautions to be followed by the master when handling and stowing the cargo (section 2). Further, the Code details several test procedures for laboratories and surveyors to determine the safe moisture content limits of any given solid bulk cargo to be loaded (appendix 2). Finally, the Code provides a non-exhaustive list of schedules for various solid bulk cargoes that detail specific precautions to be put in place to ensure safe carriage of such goods. Shipping & Trade Law, in its October 2016 issue, touched upon certain flaws found in the IMSBC Code. [ii] Briefly, the reported issues were concerned with mis-categorisation of cargoes, questionable test procedures giving unreliable results and, most importantly, lack of an effective enforcement plan leaving the interpretation of its provisions open to diverse national laws. Therefore, subject to further improvements and research, the Code alone does not provide reassurance that the liquefaction nightmare will soon be over. P&I Clubs are perhaps unsurprisingly at the forefront tackling the issues of solid bulk liquefaction. Numerous warnings have been circulated to members putting them on notice of all dangers connected with the carriage of solid bulk cargoes. Requiring their members to strictly adhere to the provisions of the IMSBC Code, and instructing qualified surveyors to conduct investigations into the safety of the cargo in question, are essential conditions if their members want to remain covered under the policy. Undoubtedly, the insurers are the most significant players in tackling the said issue as they have contributed immensely to raise the industry’s awareness of the potential damage from liquefaction incidents. Similarly, RINA has introduced rigorous structural design modifications to meet the standards specified in section 7 of the Code. Such can be achieved by retrofitting longitudinal bulkheads in the holds, so that any liquefaction will be confined within these boundaries without compromising the stability of the vessel. Unfortunately, this option is not as commercially attractive to shipowners as it may at first sight appear – the addition of these bulkheads may cost in the region of US$3 million and may also have the effect of limiting the vessel to the solid bulk trade alone. BIMCO, being the representative of shipowners’ interests, could not remain silent on the issue of solid bulk liquefaction and, to date, has proposed two clauses for incorporation in charterparties. The first is the rather lengthily-titled BIMCO Solid Bulk Cargoes that Can Liquefy Clause for Charter Parties, and the second is found in the recent revamp made to the NYPE 2015 form. Both versions are strictly in owners’ interests, conferring all the risks arising out of carrying solid bulk cargoes and the expenses in complying with the IMSBC Code’s provisions upon charterers. Due to many uncertainties, addressing the liabilities in well-drafted clauses in the charter is without a doubt paramount, but owing to the current market conditions it is not a given that charterers would readily accept such clauses in the first place. Certainly charterers will be reluctant to shoulder such risks, bearing in mind the deficiencies of the IMSBC Code itself. [iv] It is true that forged documents, produced by shippers or charterers, are mostly blamed for liquefaction casualties, but in some cases these parties have strictly followed the Code; yet incidents followed. In other cases, where charterers may have taken proper steps to establish the safety of the cargo (having samples analysed in other countries in order to establish accurate and reliable test results), there nevertheless remains a risk that the master may unreasonably suspend cargo operations and cause unnecessary delay at charterers’ expense. Therefore, charterers may be justified in refusing to insert the said BIMCO clauses in their charters, as they are not the only party whose actions may be causative of loss. Unfortunately, many port authorities, mainly in the countries of shipment, are adding insult to injury by, as reported in some cases, exercising pressure upon the parties to load as quickly as possible to evacuate the berth. Such practice gives the master no time to verify the safety of the cargo nor to follow the necessary precautions in trimming the cargo or loading it properly in accordance with the Code. In addition, port authorities are, in principle, obliged to verify the safety of the cargo and be the IMO’s watchdog to ensure effective enforcement of its conventions. 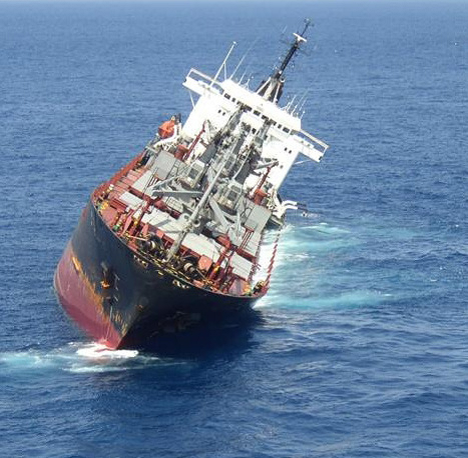 [v] But sadly, this cannot always be the case, jeopardising safety in the global shipping trade. Having analysed how the concerned parties have responded to the liquefaction issue, one must assess the strength, weakness and overall effectiveness of the actions taken. Marine liability insurers are playing a major part in stopping liquefaction incidents, and their contribution is noted. The IMO is biennially amending the IMSBC Code to meet its ultimate goal of preventing further losses, and research is consistently underway to better understand the properties of solid bulk cargoes. With regards to Class proposals, they are a valid option, provided owners are willing and able to meet the costs involved in the proposed retrofitting standards. As for BIMCO’s clauses, making compliance with the regulation a “condition” may in fact clarify the position as opposed to the current uncertain effect of breaching the IMSBC Code provisions, and it will be interesting to see, first, whether such clauses could make their way into the charter and, secondly, how they would be interpreted in a court of law. [ii] Fkhir, Shipping & Trade Law, October 2016, (2016) 16 STL 8 1 (volume 16, issue 8, page 1). [iii] “ClassNK Welcomes World’s First Specialized Nickel Ore Carrier to Register”, www.allaboutshipping. [iv] For which see Shipping & Trade Law, October 2016, (2016) 16 STL 8 1 and (2016) 16 STL 8 3. Want to ensure that Charterers pay their hire?